A bit rusted, but not too bad after a year in the mud. No, it wasn't a random ninja attack. Last spring (2011) I lost it when I completely missed the target we were using. Yes, my shuriken-fu was weak that day. Let me tell you, we did quite a thorough job looking for it, but it was nowhere to be found. Then recently I happened to be working in that part of the yard, thinking I'd really like to have my shuriken back, and voila! there it was. I think the garden gnomes were hiding it. 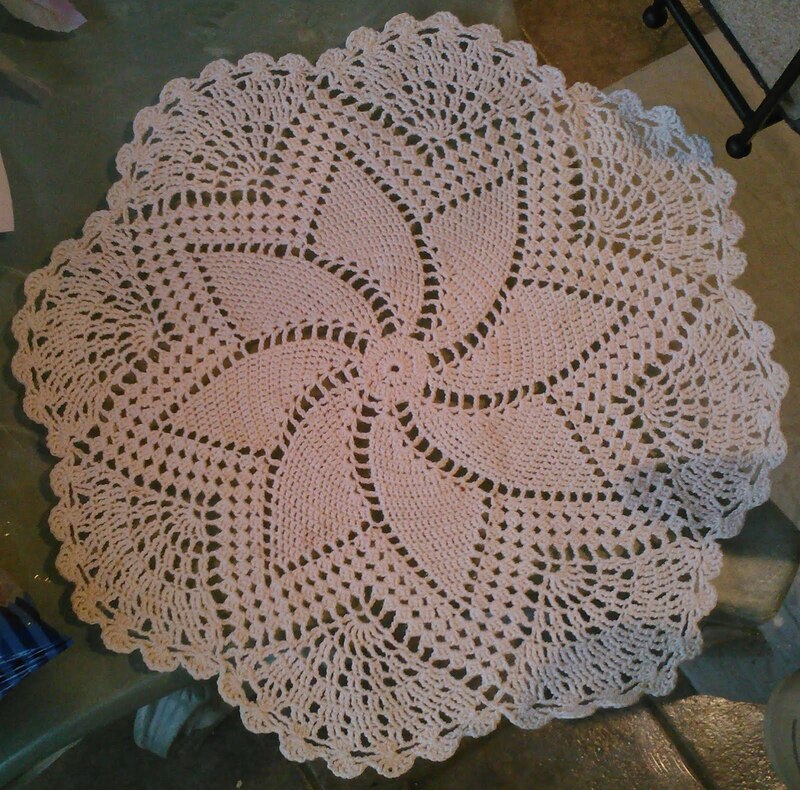 Looking at it now I think I did a pretty decent job on it, but with one major flaw; it should have been 16 inches in diameter but my gauge was so tight that it's only about 12 inches across. As with most things I crocheted long ago, I didn't know much about gauge (okay, nothing about gauge) and held the thread so tight it dug into my fingers. Now, I would probably get a lot closer to the proper gauge but I haven't been adventurous enough to try any major crochet projects. 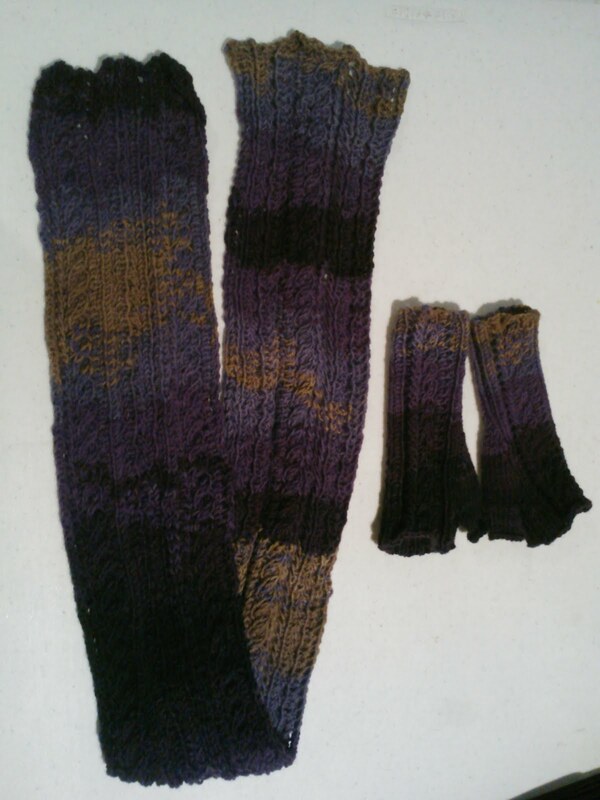 These were made with SMC Select extra soft Merino, color 5284 (100% Merino wool), size US5 circular needles (3.25mm), using "Lush Fingerless Mitts" (pattern by Susan Mills, Classic Elite Yarns). 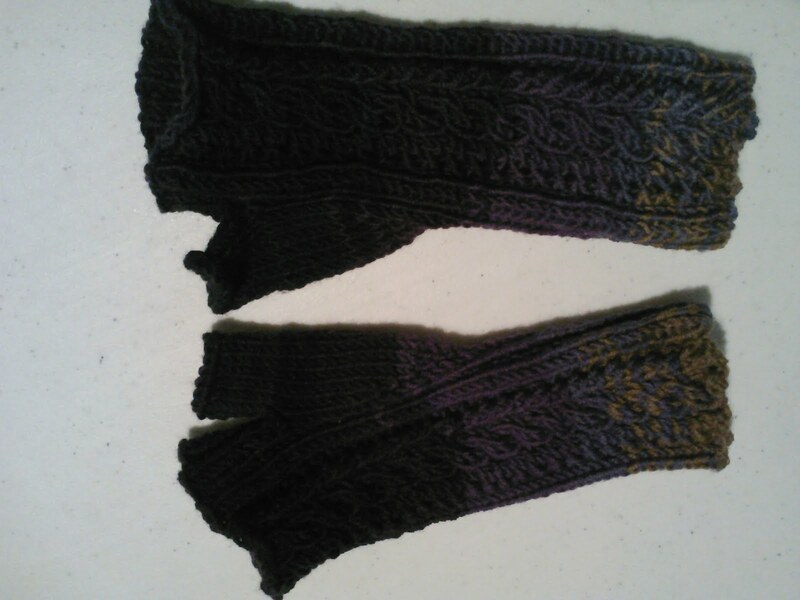 The toughest part of this was getting my gauge consistent for the mitts; I developed tendonitis in my right elbow in late January, so as the condition of my arm changed, so did my gauge. I ended up knitting the mitts four times to get two the same size. As a result, this one gets the "scurvy yarn projects" label.